Taiwanese actor-singer Nick Chou, also goes by his stage name NICKTHEREAL is finally making his debut in both Malaysia and Singapore. Well-known for his role as the male lead in the Taiwanese drama “Love, Timeless”, the 29-year-old heartthrob is coming to both countries for the first time this December to deliver his “NICKTHEREAL Party Tour” as well as to promote his newest album “REAL”. Since featured in Jolin Tsai’s music video in 2009, Nick immediately gained immense popularity in Taiwan thanks to his attractive looks and various talents including singing, acting, dancing and DJ-ing. 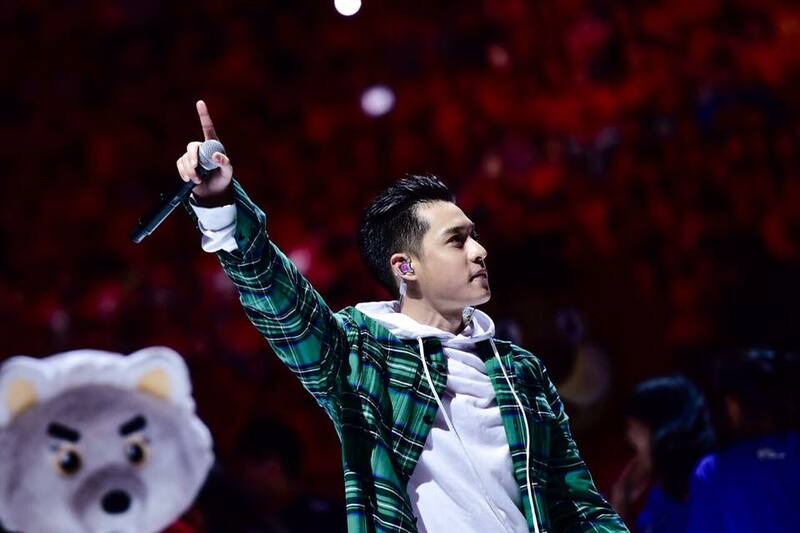 The Taiwanese star studied in the United States when he was 15, which has somehow influenced his music style, making his songs seem more westernised 90s punk and R&B elements. 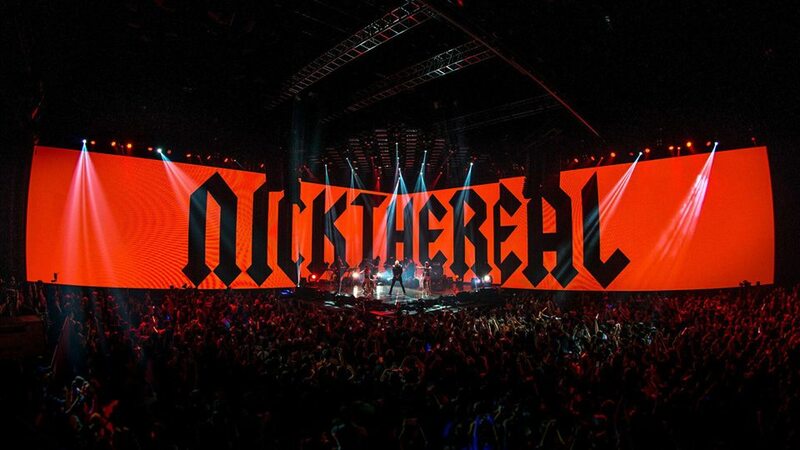 The set design of his concert in the two Southeast Asian countries is set to reflect his Taiwanese leg concert with a huge LED panel that will deliver a moving experience for his fans. “I wouldn’t be where I am today without all of my fans. That’s why I’ve designed this show to be a fun experience for them. Although they might come to the show to see me perform, I want them to know that it’s as much about them as it is about me. This is for us to celebrate together,” said Nick in a statement. Malaysian and Singaporean fans can look forward to hearing favourites like “Handsome to Break Up,” “This is Your Song,” “Get on My Level”, and more. 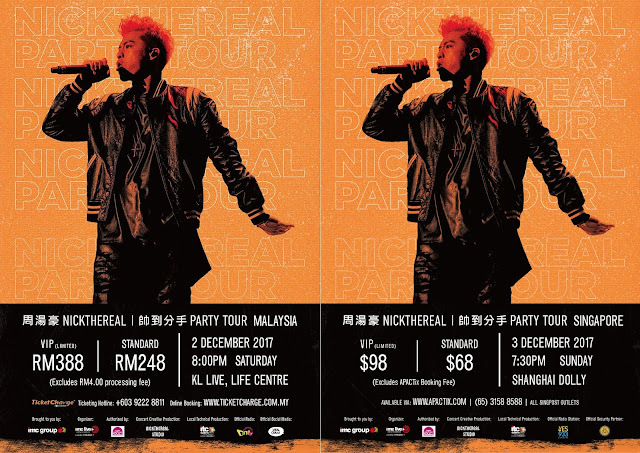 NICKTHEREAL Party Tour will be coming to Malaysia on 2 December 2017 followed by Singapore on 3 December, taking place at KLO Live and Shanghai Dolly respectively. Tickets for the Malaysian show are going at RM252 (Standard) and RM392 (VIP) via ticketcharge.com.my, while the Singaporean show priced at SGD68 (Standard) and SGD98 (VIP) through apactix.com.